In the beginning, during the circumambulation, the Angels say, "Glory be to Allah, praise be to Allah, there is no god but Allah". Adam (peace be upon him) added to this, "There is no power or strength except in Allah". But Abraham (peace be upon him) added: "The All-Powerful, the Most Exalted". The statement "Allah is Great" was also added. The whole statement for Tawaf now is "Glory be to Allah, praise be to Allah, there is no god but Allah. Allah is great, and there is no power or strength except in Allah". (14, v. 3, p. 11). The noblest shade on earth is that of the Holy Ka'bah. Directly above the Holy Ka'bah, at its zenith, there is the duplicate of the Most-Frequented House, in heaven. It is visited by seventy thousand angels daily, then they leave and cannot return until the Day of Judgement. The Most-Frequented House is below the Throne of Allah, and those who circumambulate the Holy Ka'bah are under the shade of that Throne. (11, 13, 14, v. 3, p. 11) The Sacred House is blessed and full of good, and those who perform Hajj or Umrah or visit it are granted endless reward. The Sacred House contains very clear miracles with meaningful symbols, such as the deep impressions of Abrahams feet in stone at his station. This indicates that Allah, the Almighty, enables His worshipper to overcome any obstacle if he is a true believer. The Black Stone has always been returned to its place in spite of the fact that it was subject to ravaging and plundering through the ages. 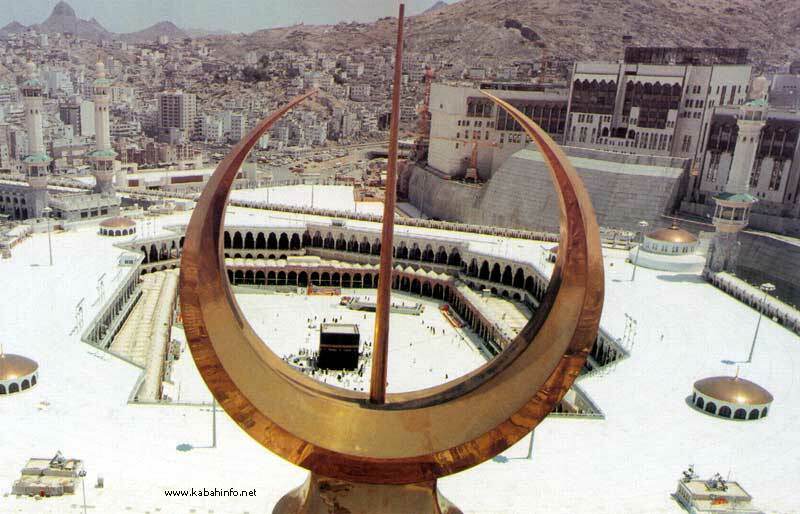 The Holy Ka'bah stood and still stands in its place, and is glorified by visitors. Anybody who tries to do harm to it is severely punished by Allah, the Almighty. The Holy Ka'bah is washed twice a year in the middle of Sha ban and on the seventh of Dhul Hijjah. (14, v. 5, p. 45). Some scholars maintain that looking at the Holy Ka'bah is a kind of worship. It is without a doubt that looking at the Holy Ka'bah in contemplation and reflection indicates a living worship. The foundation stones of the Ancient House werdescribed in history books as Khulufat, one overlapping the other. Khulufat are the camels in the wombs of their mothers. The Holy Ka'bah was re-constructed in the era of Quraish by lawful gains only, collected from contributions. The concept of co-operation and collecting money by contributions is, therefore, a very ancient idea. Men and women worked together in constructing the Holy Ka'bah during the Quraishi time. Men carried the stones while women carried the mortar.